DETROIT -- General Motors Co. plans to spend $190 million in a Michigan plant to build a small sedan for Cadillac, according to published reports. 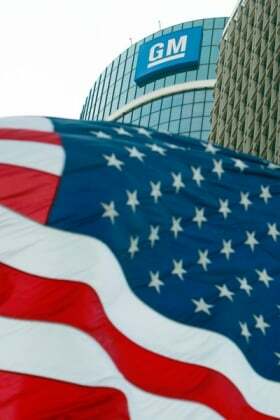 GM CEO Dan Akerson is scheduled to make the announcement tomorrow at the Lansing Grand River assembly plant. The Lansing State Journal and The Detroit News reported the news today, citing GM officials and Lansing Mayor Virg Bernero, the Democratic candidate for Michigan governor. The Cadillac ATS will be marketed below the CTS -- currently the smallest Cadillac model. The ATS is expected to go on sale as early as the 2012 model year. Analysts say Cadillac may sell coupe and wagon versions of the ATS as well. GM already builds the Cadillac STS sedan and CTS sedan, coupe and wagon at the Lansing factory. The Lansing City Council voted to offer GM about $9.8 million in tax breaks to persuade the company to build a new model at the plant, the State Journal reported. The paper said city officials expect the investment and addition of the ATS sedan to create about 600 jobs at the plant.